Not heeding the draining power of 80 degree heat, yesterday I decided to make up the long training run that I had skipped over the weekend. It began inauspiciously when I tripped and fell on gravel a third of a mile into the run, and it ended badly 10 miles later when, parched and exhausted, I reached my car and realized that my keys were locked inside, taunting me. Come to think of it, that entire middle section of the run was pretty rough, too. Some days, your success isn't that you ran well, but that you ran, period. Yesterday was such a day. Even so, I can often find something good about a run, even if that something is "it ended." Yesterday, I found four good "somethings." 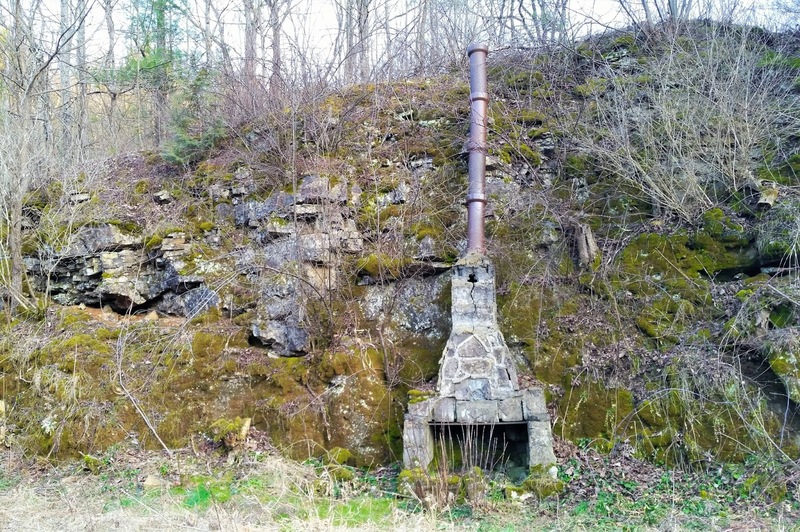 First, I came across this fireplace and chimney built into a rocky hill. There's no rhyme or reason for it, which made it curiously unexpected. Who built a fireplace along a path? Why? What an odd mystery. I love odd mysteries! 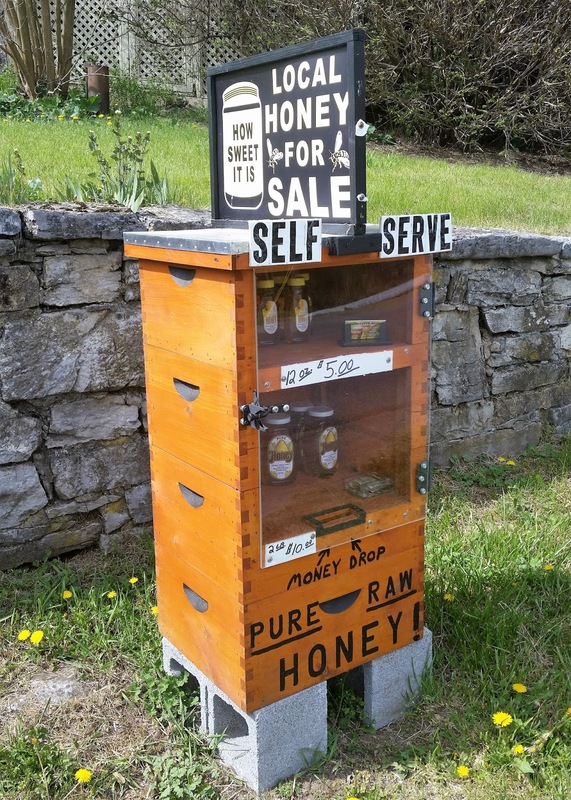 Second, I turned onto an entirely new route, ran past a small farm, and discovered a local honey kiosk on the side of the road. It's rare to come across a drop-your-money-here "self serve" setup, and it made me feel remarkably pleased with my little community. And that fourth good thing about yesterday's run? It ended.